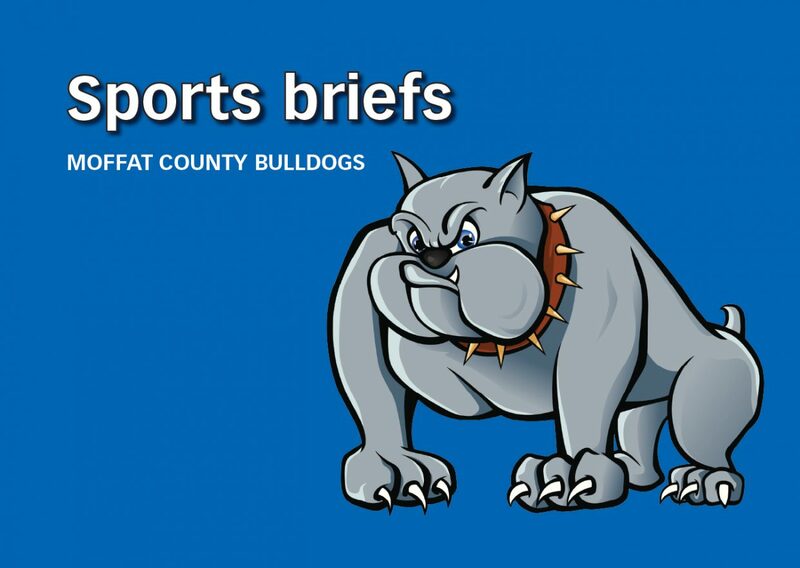 Moffat County High School will host a meeting at 6:30 p.m. Monday for the wrestling program in order for families and athletes to meet with new head coach Dennis Fredrickson. The meeting will also discuss any plans for the remainder of summer and the season ahead this winter. For more information, call 970-824-7036. The second annual Yampa Valley Young Professional Balls Out Co-Ed Softball Tournament is scheduled for Aug. 5. The event takes place during Moffat County Balloon Festival at Loudy-Simpson Park and is open for registration at $200 per team. The format is BYOB with food vendors available and will include multiple rounds as well as a home run derby and t-shirts for the winning team. The deadline to sign up is July 24. Volunteer umpires are also needed. People looking for a team can visit https://www.facebook.com/YampaValleyYoungProfessionals. For more information or to register, call Amanda Tomlinson at 970-629-8578 or Tori Pingley at 970-629-2544. Registration is open for the 31st annual Silver Bullet Ladies Golf Classic, which takes place July 15 and 16 at Yampa Valley Golf Course. Registration is $140 per player for a Friday practice round and 36 holes across Saturday and Sunday, as well as a Saturday night dinner and dance. A shotgun start begins at 12:30 p.m. the first day and 8:30 a.m. the second. Payouts go to the net and gross winners of each flight, and players must have USGA handicap and GHIN information available. Registration must be completed by July 9. Cart fees are $18 per day. YVGC will also offer limited RV parking during the weekend, and special rates are available for out-of-town players at Clarion Inn & Suites, Hampton Inn & Suites and Best Western Plus Deer Park Hotel and Suites. For more information on registration for YVGC’s summer events call 970-824-FORE (3673) or visit yampavalleygolf.com. Colorado Northwestern Community College will host the Spartan Soccer Camp July 10 to 14 at Woodbury Sports Complex, a weeklong course for kids entering grades six through nine. Sessions with CNCC men’s coach Joe Eades will take place from 9 a.m. to noon each day and will teach fundamental skills in the sport, including dribbling, passing, receiving and shooting. The cost is $130 per player. For more information, call 970-824-1101. Moffat County School District will host Athletics Day Aug. 3 for sports participants and families in Moffat County High School and Craig Middle School. The day is intended to be a full day of preparation for the fall sports season, complete with conditioning, physicals, concussion testing and more. Representatives from Positive Coaching Alliance will also provide guest speakers for parents and athletes. Students are asked to wear athletic clothing and shoes, bring their own water bottle and eat lunch before attending. The majority of activities will take place starting at 11 a.m. at MCHS with physicals in the afternoon at Memorial Regional Health Clinic. Parents can fill out paperwork and pay sports fees between 1:30 and 6:30 p.m.
For more information, call 970-826-6358 or email sara.linsacum@moffatsd.org or rich.houghton@moffatsd.org. Registration is open for Craig Parks and Recreation’s Doak Walker tackle football program. Teams are open to boys and girls in grades three through six, with equal participation, skill development and fun emphasized with practices beginning mid-August. Coaches will receive certification through USA Football made available through Parks and Rec. Parks and Rec will host a mandatory skills day with weigh-ins and equipment checkout July 19 at Moffat County High School, 900 Finley Lane, with third- and fourth-graders at 4 p.m. and fifth- and sixth-graders at 5 p.m. Registration is $65, with a July 18 deadline. Forms, including a medical consent waiver, are available at 300 W. Fourth St.
For more information, call 970-826-2004.